My practice focuses on rehabilitation massage, which is treatment for injury and chronic pain. I approach treatment to take advantage of the relaxation properties of massage to facilitate the most change. During massage, the goal is to guide the mind and body out of a sympathetic state (fight or flight) and into a parasympathetic state (rest and digest). This shift helps the brain dial back pain and the sensation of tension in the body. Massage for relaxation and self-care is equally important to me. All massage is therapeutic and can help to reduce stress and anxiety. It also improves mood. My approach is much the same as rehab work. However, if the goal is simply to take time for yourself, I make that time all about you, whether you use it to meditate, snooze, or zone out. I believe that massage shouldn’t hurt. If you are feeling a lot of tension or have a musculoskeletal issue, you may feel a little sore the next day. Making you sore is never my goal. Each massage is designed to fit your needs. We will discuss your goals and expectations and decide on a treatment plan together. 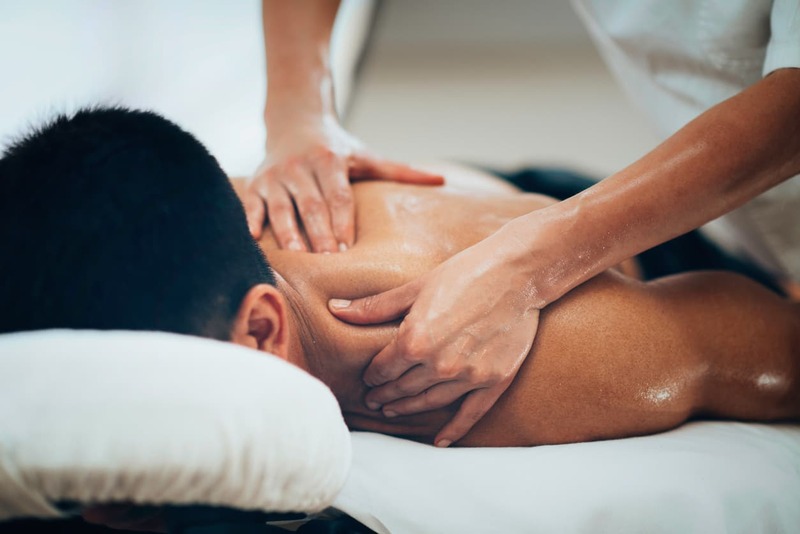 Whether your goal is to feel better or if massage is part of your self-care routine, I will work with you to create a plan to address your needs. It is important to understand pain, the brain’s role, and how it affects the body. I love the whole mind-body connection approach to massage and feel passionately that massage therapy can make a positive difference in a person’s life. I am a southern gal, born and raised in south Louisiana. While there, I earned a BA in Sociology from Louisiana State University. After falling in love with Mt. Hood Territory while vacationing, we moved to Oregon in 2011. In 2016, I graduated from East West College of the Healing Arts in Portland, OR where I studied Swedish and deep tissue massage. My orthopedic and rehabilitation training was received from the Academy of Clinical Massage. You can often find me running through the streets and trails of NW Portland. I also enjoy pedaling like a mad woman at Star Cycle, or sitting in my favorite chair reading a good book with two terriers at my feet. After spending a bit over a year working in a spa as a massage therapist, I’ve started my own practice. It is located in the LifeQual Center off of Cornell near Sunset Highway 26. My location conveniently serves NW Portland, SW Portland, Beaverton, and Hillsboro. Medical Insurance and Massage - Visit this page for details.